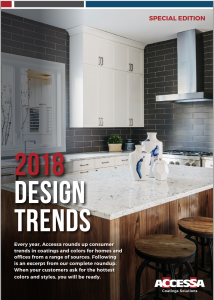 Every year, Accessa Coatings Solutions rounds up consumer trends in coatings and colors for homes and offices from a range of expert sources. When your customers ask for it, you’ll be ready. Contact Accessa to find out how we can help you stay competitive and on trend with top-performing coatings and service.